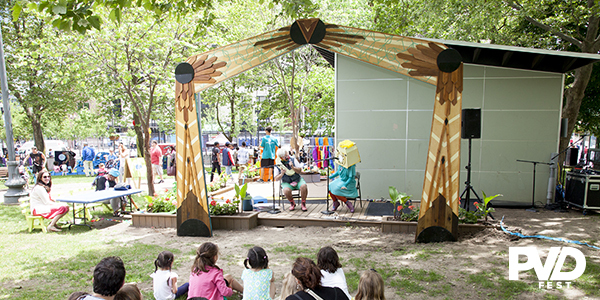 PVDFest returns to Burnside Park for the fourth year in a row. 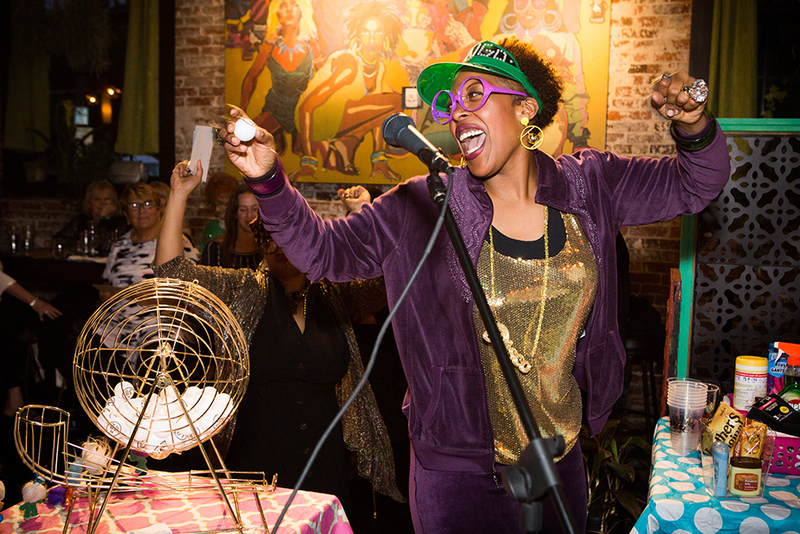 Discover all the Creative Capital has to offer through Providence’s signature arts and cultural event. 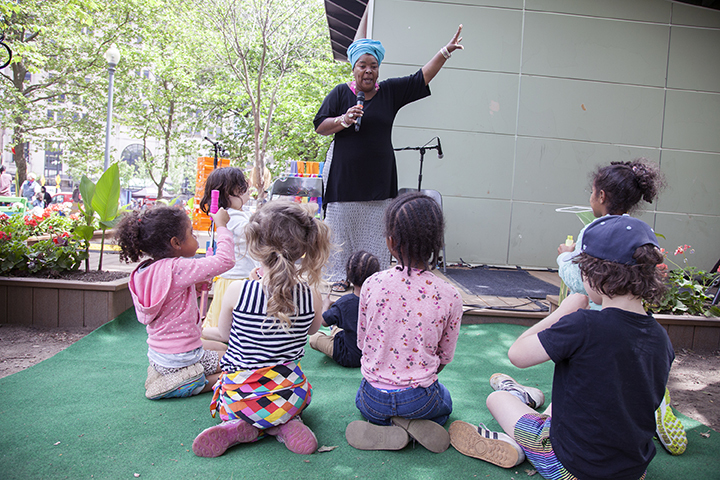 Once again, the Downtown Providence Parks Conservancy has curated an entire day full of arts and cultural programming that is fun for the whole family. Plan your visit to the park around a certain performance, or pop by at any time (or many times!) and experience the magic and fun. Below is the full schedule of Burnside Park events for Saturday, June 9. Keith Munslow brings his unique performance to kick off PVDFest in Burnside Park. A musician, storyteller, cartoonist and standup comedian for kids, Keith gets kids and parents dancing and laughing. Get ready to get silly! Join Miss Katie and her banjolele for an interactive musical performance! While Miss Katie makes music with her banjolele, kids will join in the fun by singing along, making their own music and dancing! TinkerTina is every child’s imagery best friend. Grown ups can’t see her, but her little friends can. She is curious about the world around her and always wants to know how things work. She mostly figures this out through singing and music making. She will tinker and fiddle with anything and can always make something out of nothing so she and her friends are never bored when Mom and Dad aren’t around. Come discover the fun of mischief making! Originally from Mali, Maiga is based in Rhode Island and has traveled the world drumming and teaching. 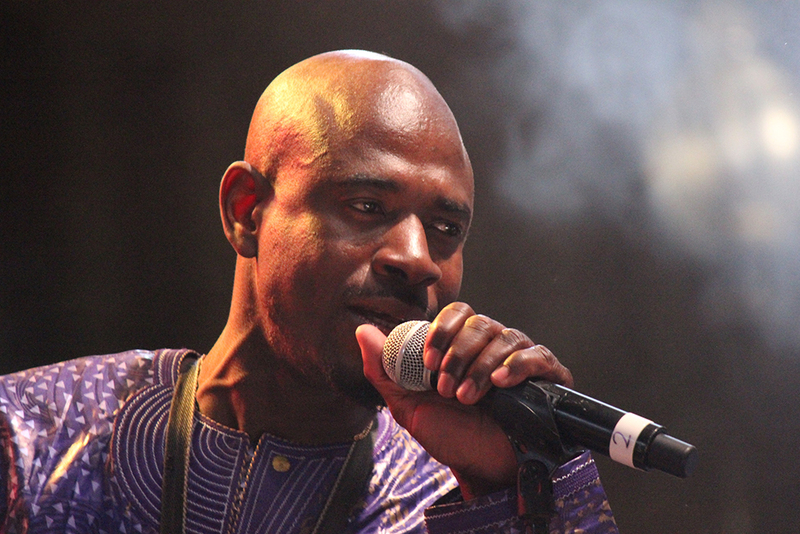 He combines the best of West African percussion traditions with the modern rhythms of the Caribbean and hip-hop. Bring your own djembe or any musical instrument or sit in on one of Maiga’s to participate in an open drum circle with one of Rhode Island’s musical treasures. Don’t miss this unique opportunity to be up close and personal with PVDFest headliners Debo Band and Sidy Maiga of Afrimanding. In Burnside Park, their workshop collaboration will explore the (dis)similarities in melody, rhythm, and forms between Debo Band’s Ethiopian jazz and Sidy Maiga’s Malian music. 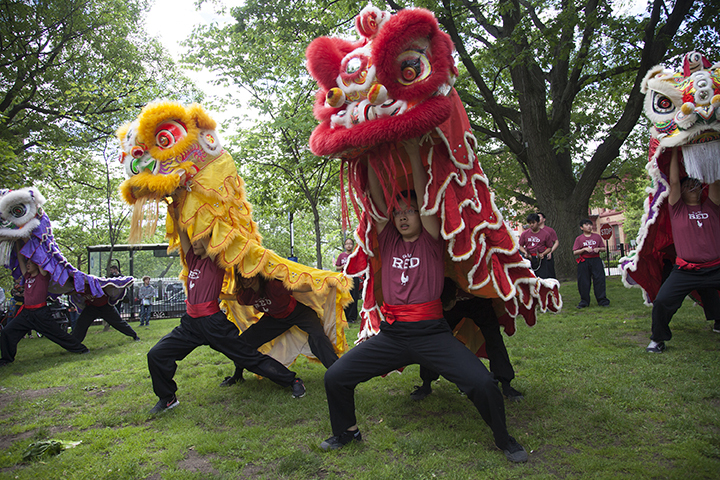 A non-profit martial & cultural arts group practicing kung fu & Chinese lion dance, the RI Kung Fu Lion Dancers will perform a traditional Lion Dance. This festive and cultural performance combines the movement and spirit of kung fu with drumming, and symbolizes good luck and positive energy. A self-made artist, actress, and teacher from the South Side of Providence, Raffini has long been committed to the community. She teaches Black History and theatre, and tells stories that nurture the spiritual and creative abilities of youth. She will join us with storytelling from Africa and beyond. Festival Ballet Providence will be engaging the community in building movement and poetry based on the Shel Silverstein poem, Invitation. All ages are invited to build movement from words and explore the way we “spin tales” through the art of dance. Participants will be guided through movement explorations in pantomime, movement metaphors and word equivalence that will come together in a presentation of poetry and dance. Girls Rock! Rhode Island turns up the volume with Youth and Lady Camp rockers with performances of original music. Try out some new instruments at the Instrument Petting Zoo while DJ Red Dawn spins some tunes. Sound Sculpture is an interactive musical instrument / sculpture. 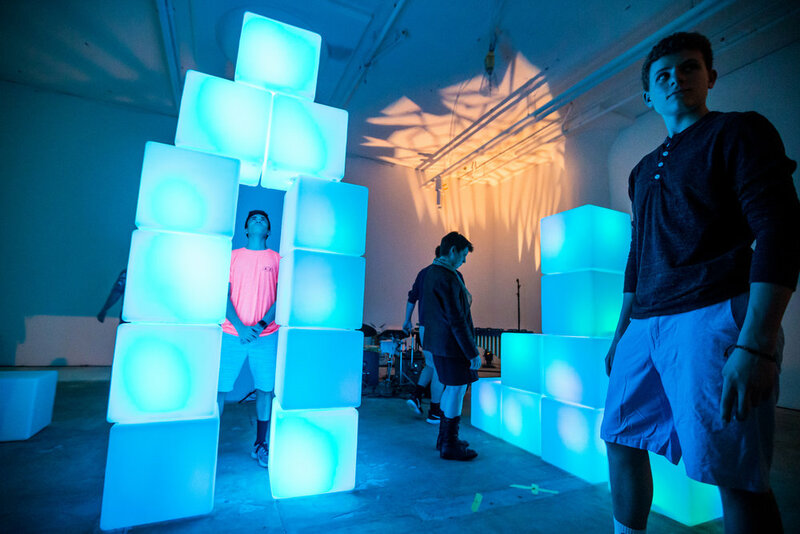 Each of the cubes represents a note in musical tie and pitch and participants actually make (and remake) music while creating physical structures. Sound Sculpture is a creation of Boston-based Masary Studios. This is not your Grandma’s bingo game. Your favorite host Erma-Jean So-Fly will be spinning on the “Bs” and “Os” and you already know. 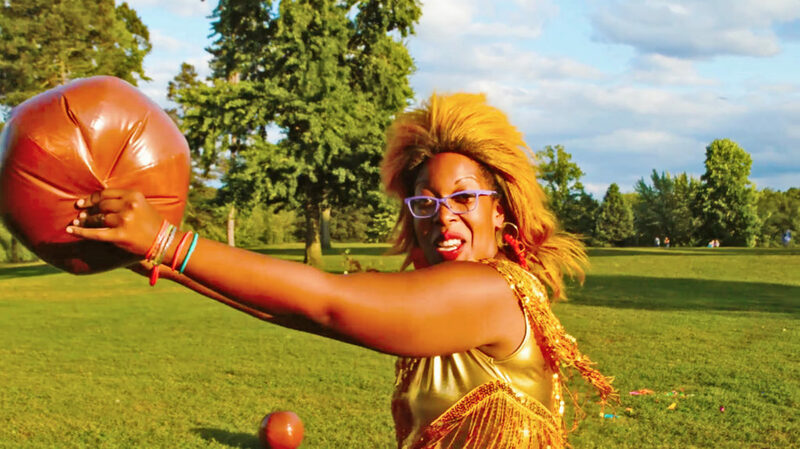 Raise those daubers high, wax nostalgic as you watch vintage SoulTrain videos, and don’t get left behind as we show off our flyest dance moves under the shimmer of the disco ball during the Soultrain line- toot toot! Bring your friends and your good luck charms. I’ll see you B4 and after! Someone’s gotta win, and it might as well be yous. Be there or be triangle! Come and visit us at Burnside Park! We are here to say hello while we make paper fans to keep cool and glitterize our very own sideburns. Interact with our walking, talking appliances, catch a book reading, or even join in on one one of our ‘Dance for a Minute’ parties! Get Weird with The Rainbow Beard! Show! Shake, strum and sing with playSCIENCE’s Miss Katie. A regular at our Play in the Park series, Miss Katie gets kids experimenting with instruments and making music together. Work with Princes to Kings, a youth male mentoring program, as they work with a professional photographer to photograph park events throughout the day.Help create a larger than life “Remix” photo collage at the Remix Collage Workshop by reassembling hundreds of photographs of real people’s faces previously taken in Kennedy Plaza, hosted by artist Scott Lapham. Heidi Born of Rattscallion Facepainting is a regular at our summer Storytime + Art in the Park series. Come early, face painting is FREE during Family Block from 12 – 4! 6:00 – 10:00: Illuminated Burnside Park As the sun sets, Burnside Park will light up with glowing orbs and lights on the trees and playground. 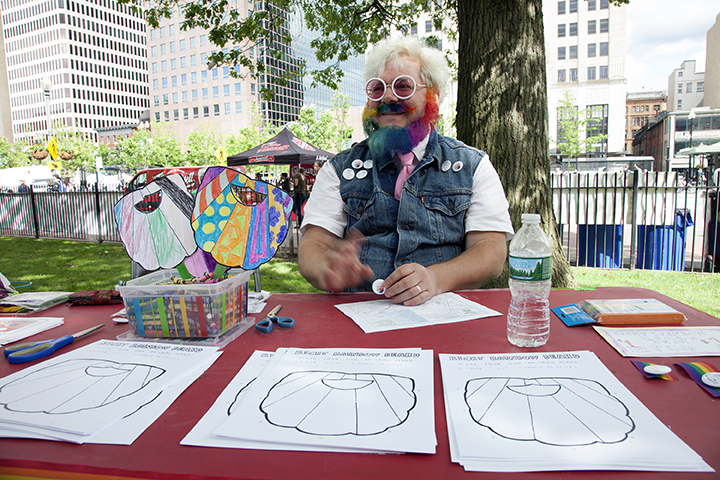 6:00 – 10:00: Providence Children’s Film Festival & Ricky Rainbowbeard present a selection of short films and projections. Color Poll is an interactive polling station where the public collaborates on re/naming colors, and, together, explores cultures of color-naming across household paint companies. Print out this schedule and bring it with you on Saturday!